mine what caused the fish kill and how to prevent it in the future. eventually promoted to District Fisheries Biologist and Fisheries Biologist Supervisor. shed ecology, and public outreach. Our September 21st dinner speaker featured Captain Tommy Mattioli. This dinner was held at our new venue, the Salisbury Country Club. 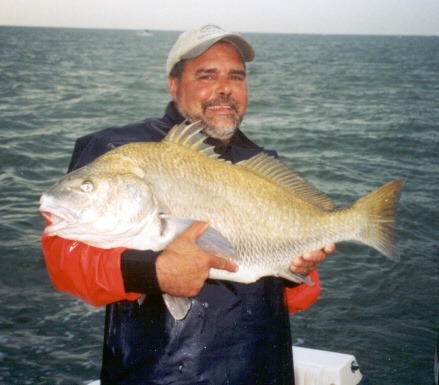 Captain Mattioli specializes in guiding on the Chesapeake Bay on the ‘Matty-J’. Robert, along with Larry Baron and guest David Piotrowski discussed fishing in Central America. 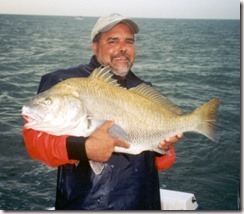 Master angler and author, C. Boyd Pfeiffer was our March 2006 dinner speaker. Mr. Pfeiffer talked to us about Shad fishing with a fly rod. Click here for some photos from the 2006 Annual Banquet!